At one point or another, we all learned about World War II. But it's an event that's so detailed and widely spread that it's impossible to learn everything. That means that there are hundreds - perhaps thousands - of events during the war about which most people never learn. The images in this article recount some of those events and the people that lived them. 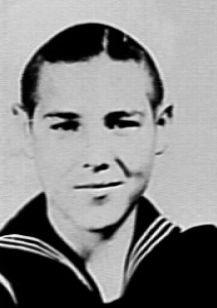 The fresh-faced young man in the photo above is Calvin Graham, the youngest U.S. servicemember to enlist and fight in World War II. 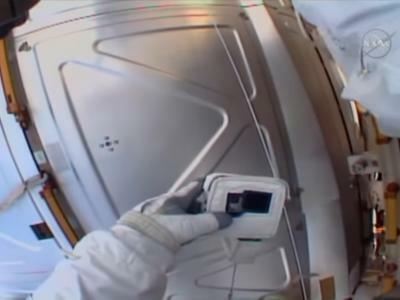 Graham enlisted in the Navy in Houston, Texas, on August 15, 1942, spurred to do so after the Japanese attack on Pearl Harbor on December 7th of the previous year. When he enlisted, he was only 12 years old, yet he managed to fool everyone into thinking he was old enough to serve. He did so on the USS South Dakota, where he participated in the Battle of Santa Cruz. He was wounded on Guadalcanal. Graham won the Purple Heart, the Bronze Star, and received a Navy Unit Commendation for his actions in the war. 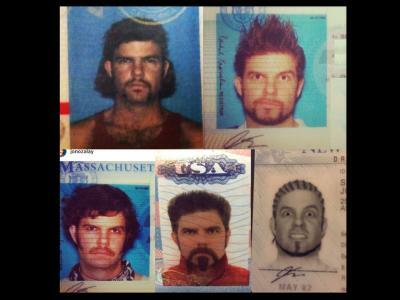 Once the Navy discovered his real age, he was dishonorably discharged, and his awards were rescinded. However, he won an honorable discharge in 1978, and eventually all his medals were reinstated. 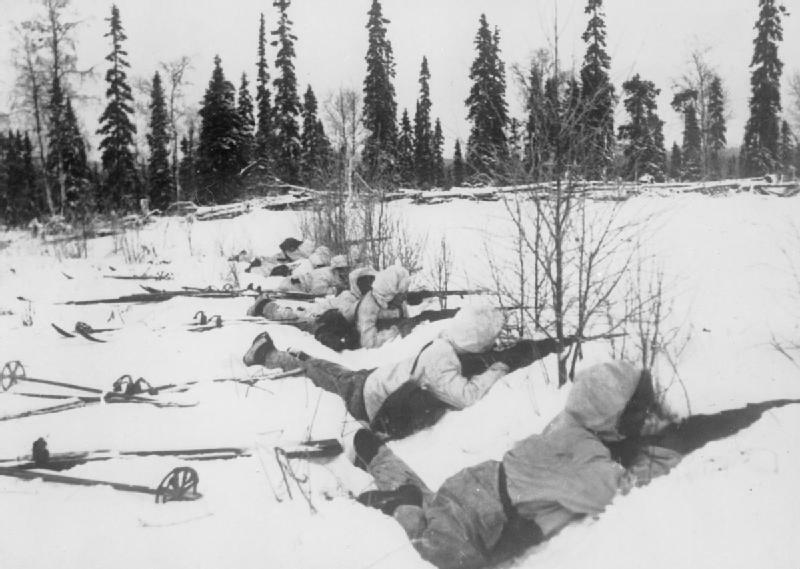 During the Winter War between Finland and the Soviet Union, Finnish ski soldiers were able to kill 40 Soviet troops for every one Finnish troop that perished. The skill of Finnish soldiers in repelling Soviet advances helped the country to remain unoccupied throughout the war. In fact, Helsinki is one of only three European capitals (along with London and Moscow) never to be occupied by enemy troops. Though Japanese Kamikaze pilots are well-known in World War II history, there were suicide pilots in the European Theater as well. Soviet pilots would sacrifice themselves by flying directly into German planes in an act that they called taran, which means "battering ram." 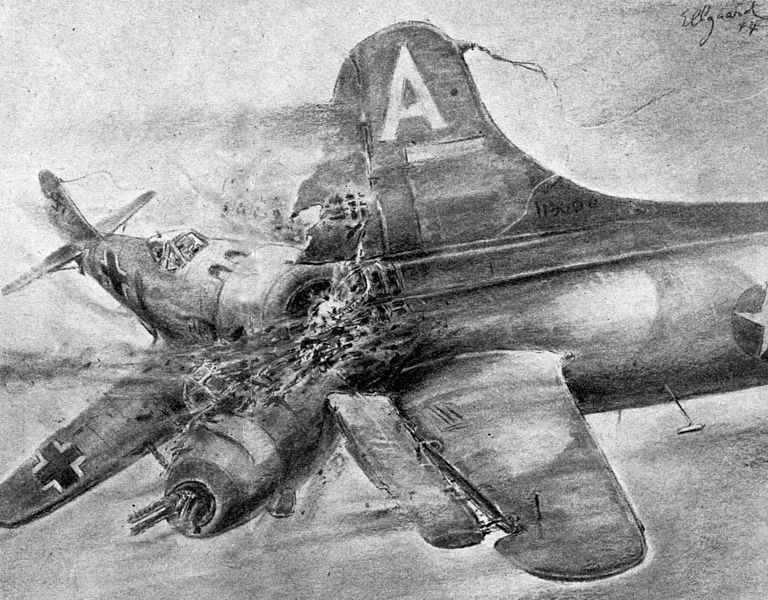 Though some of the Soviet pilots were quick enough to eject before the collision, many perished. 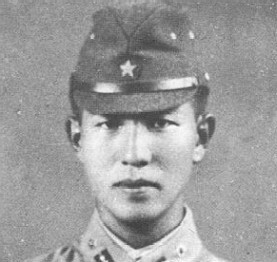 The man pictured above is Hiroo Onoda, an intelligence officer with the Japanese Army during World War II. He was stationed in the Philippines and held the rank of second lieutenant. When Japanese forces surrendered to the United States in August 1945, Onoda refused to surrender, instead manning his post for an additional 29 years. Only after his former commander came to the Philippines to issue direct orders to surrender did Onoda go home. The first concentration camp established by the Nazis in Germany was Dachau, which was built on the grounds of an abandoned munitions factory and opened in 1933 - six years before the outbreak of war. Heinrich Himmler, the infamous subordinate of Hitler, opened the camp to house imprisoned Jews, criminals, and foreign nationals from countries Germany occupied. 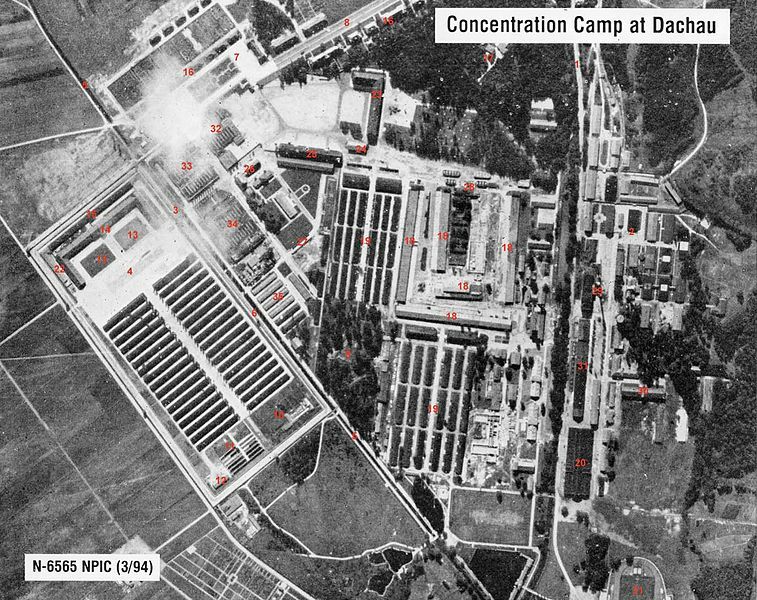 Eventually, Dachau grew to include almost 100 individual camps. The camp was liberated by U.S. troops on May 1, 1945, after 12 years of operation and more than 32,000 documented deaths. Untold thousands more deaths were undocumented. Though many countries suffered terrible losses of life during World War II, Poland was especially hard-hit. More than six million people in Poland were killed during the war, most of which were civilians killed during the Nazi occupation of the country. 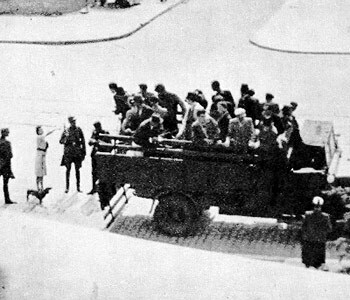 In the image above, Polish citizens are rounded up by the Nazis for forced labor. 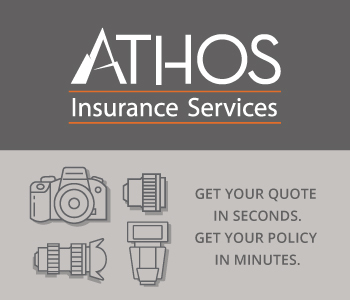 In all, about one-fifth of the country's population perished in the span of approximately six years. 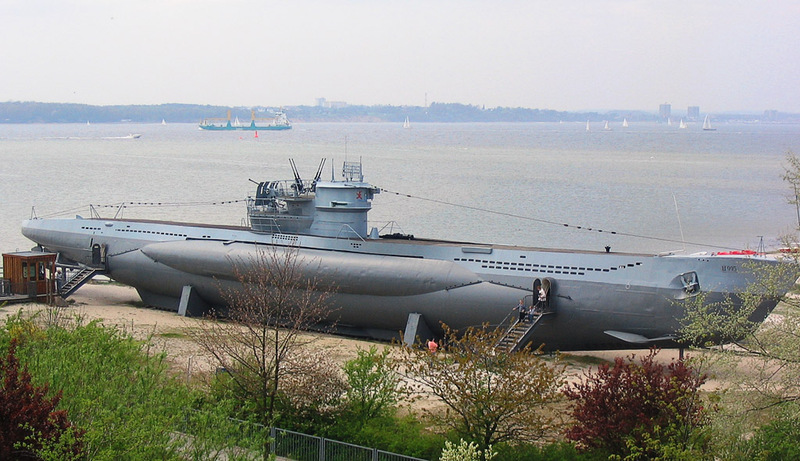 German U-boats had a mystique about them as vicious naval vessels, particularly during World War I. However, in World War II, they were much more effective when used for economic warfare to raid commerce ships and enforce blockades. Though torpedoes were the weapon of choice, U-boats also made use of underwater mines and even deck guns that could be fired when the vessel was surfaced. You can see the deck guns on the U-boat in the image above. 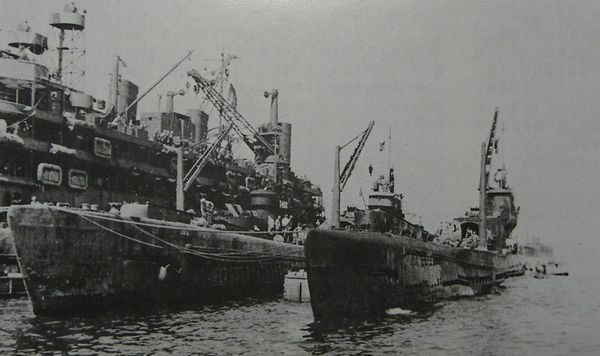 The Japanese submarine I-401, shown above, far left, was the largest submarine in the world during World War II. It was commissioned in January 1945, far too late to have any impact on the course of the war. In August 1945, the submarine's crew surrendered to the crew of the USS Segundo. Eventually, the sub was sunk off of Pearl Harbor in May 1946. During the war in Europe, the greatest need for ships was to transport troops from the United Kingdom to mainland Europe. As a result, the U.S. Army actually had more vessels than the U.S. Navy. In the image above, taken on D-Day on June 6, 1944, you can see the enormity of the invasion fleet. 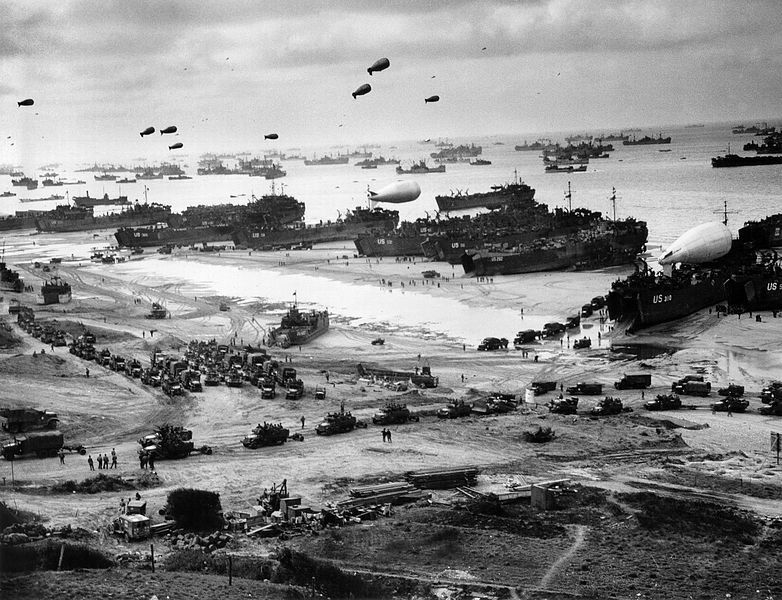 In all, there were nearly 7,000 vessels involved in the Normandy Landing. One of the most dangerous missions in the war was to fly bombing raids over Europe. Anti-aircraft guns and Nazi fighter jets were among the perils that Allied bombers faced during their runs. Yet, over the course of the War, the U.S. Army Air Force dropped 623,418 tons of explosives on Germany alone. The image above is from a raid on a factory in Marienberg, Germany in 1943. Germany invaded or attacked a number of countries during World War II. However, it only officially declared war on one nation - the United States - which it never invaded. 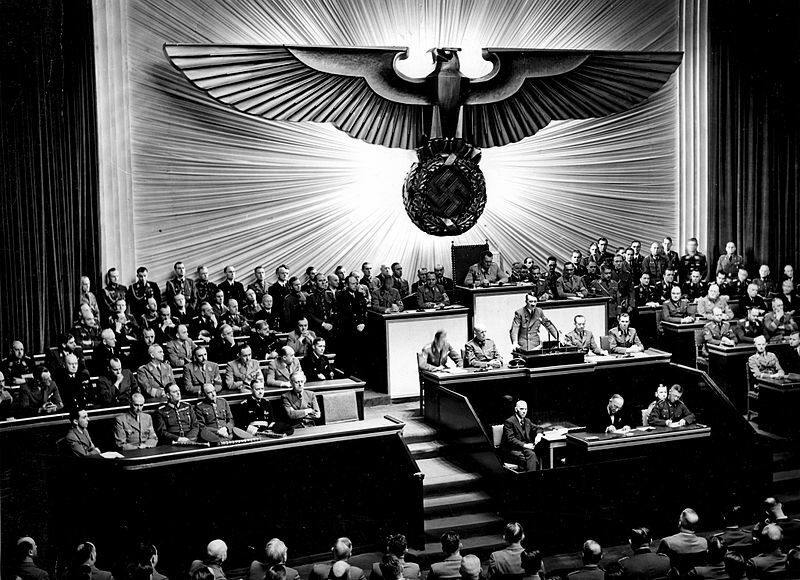 In the photo above, Hitler is seen announcing his declaration of war against the United States on December 11, 1941, in the Reichstag.